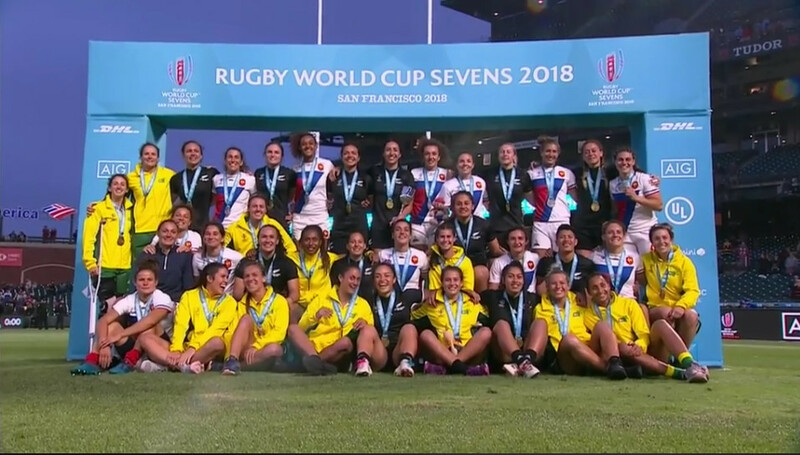 A lovely moment when the Black Ferns Sevens invited silver medallists France and bronze medallists Australia to join them on the podium. Ben Ryan says "(Portia) Woodman, 27, is the best player - men's or women's, sevens or XVs- in the world." He's not wrong but Michaela Blyde shined brightest at this tournament, such a wonderful talent. Watch the Black Ferns Sevens World Cup matches in full, here.